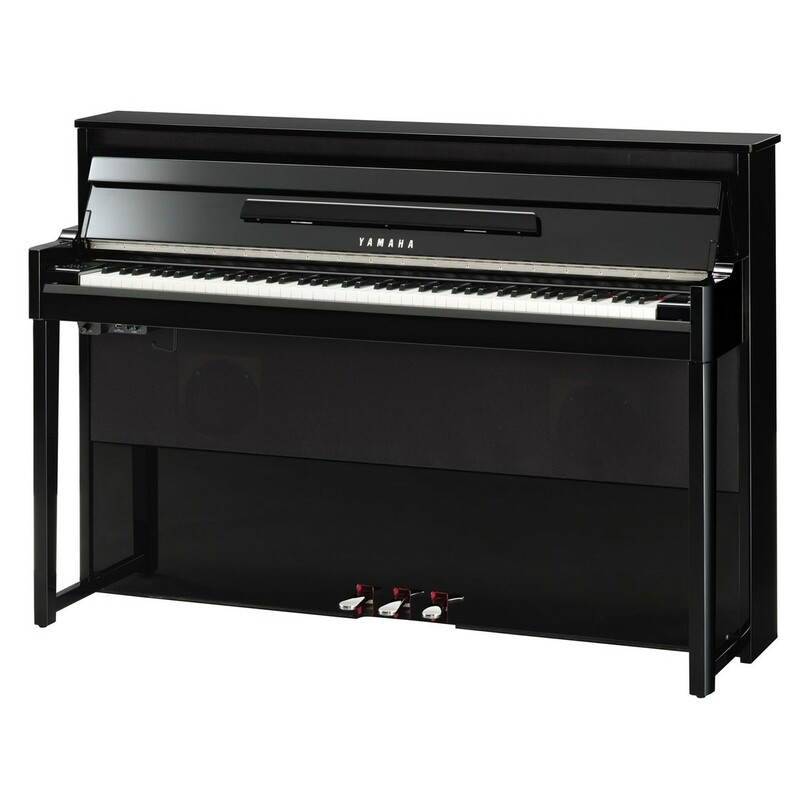 The Yamaha NU1X Avantgrand Hybrid Digital Piano combines a traditional style with modern practicality without compromising on quality and providing advanced digital features. Showcasing the sounds of the world famous Bosendorfer Imperial and Yamaha's own CFX grand pianos, 256 note polyphony and specialised piano action with acrylic and resin keys, the Virtual Resonance Modelling ensures the player receives an authentic grand piano feel which is then relayed to the audience. 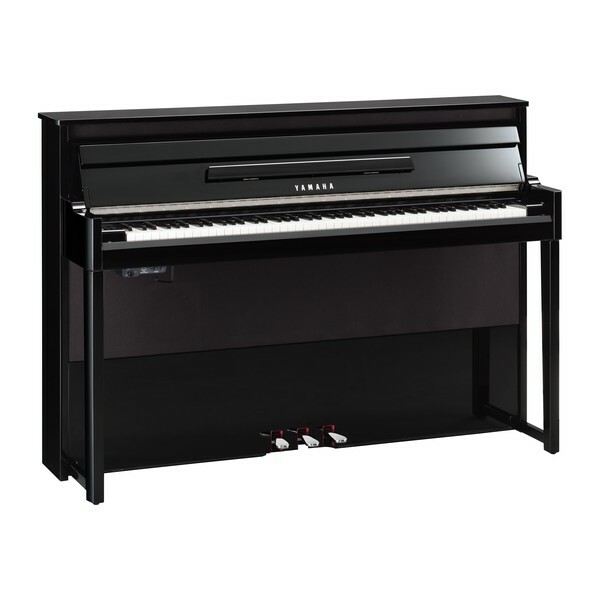 Modern functions, such as the CFX Binaural Sampling and Bluetooth and USB Connectivity brings the digital hybrid pianos into the modern day for use with dedicated apps. 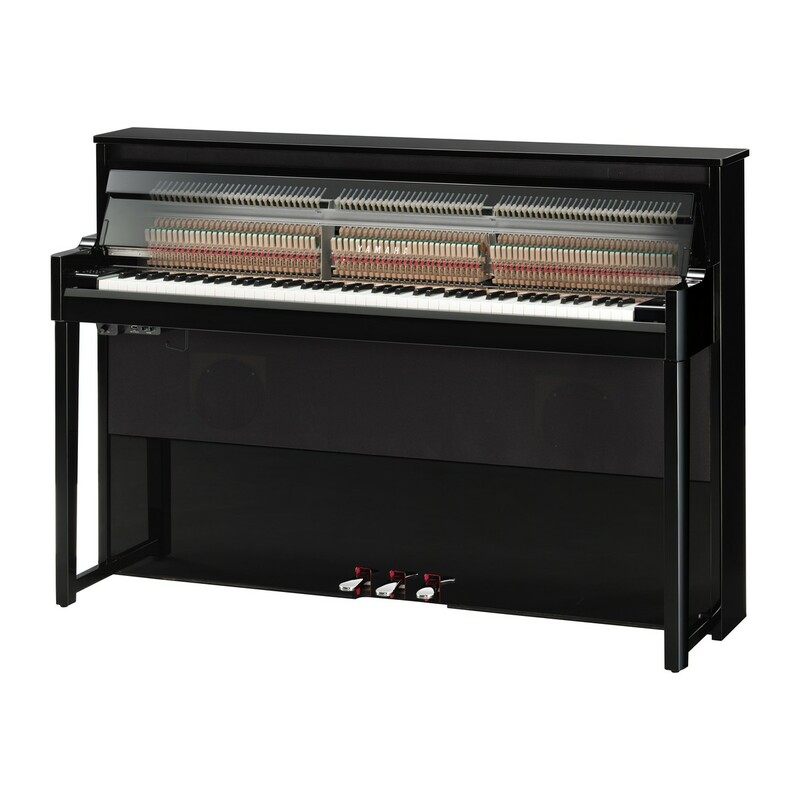 This hybrid piano truly blurs the line between acoustic and digital providing the best of both worlds for demanding players. Virtual Resonance Modelling reproduces the resonance inherent in a grand piano's body. It calculates the various states of the strings for all 88 notes from one instant to the next for rich expression and sound development. 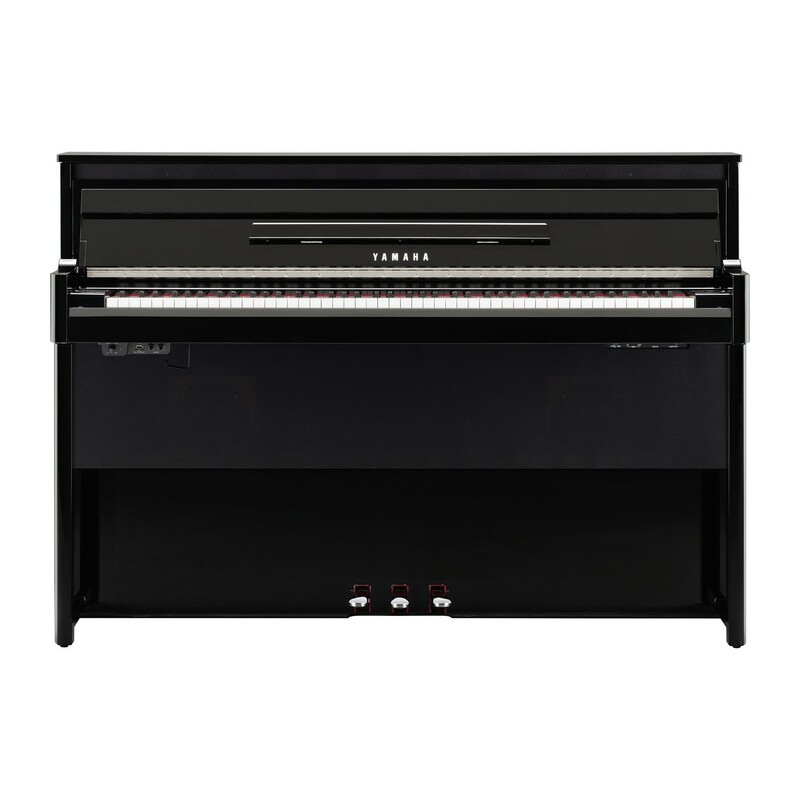 The simplicity of the NU1X blends effortlessly into any setting, adding an air of elegance. 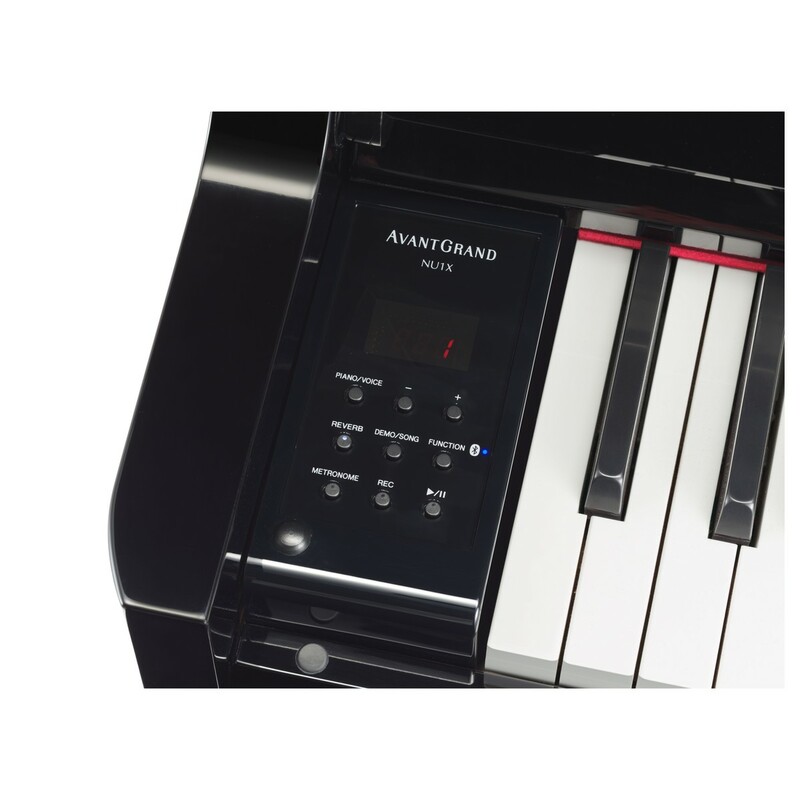 With its compact design, it can be easily placed in any location whether on stage on at home. The upright design allows it to be placed against a wall for ease of use. The dark wood beautifully contrasts with the white keytops and gives it a traditional look. 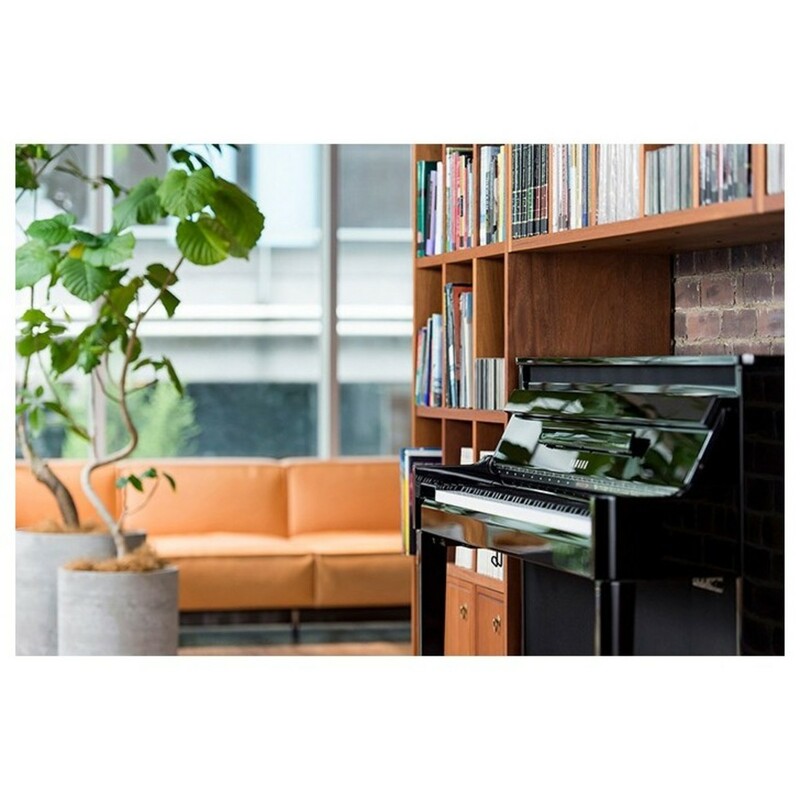 Yamaha and the piano tutorial app flowkey have collaborated for a limited time offer to give you 3 months of premium learning. Simply download the flowkey app on to your smartphone or tablet, register your instrument and begin your subscription. The user-friendly interface allows you to learn each song in both a sheet music format as well as a play-along video. Thanks to the adjustable difficulty settings, flowkey can be used by complete novices and developed musicians alike. Premium flowkey members have access to over 500 songs covering major hits from pop,classical, rock and more. This intuitive app can even track your playing and offer instant feedback to help improve your skills. Any Yamaha digital piano purchased between 15th July 2016 and 31st March 2021 is now eligible for three months of premium flowkey access.